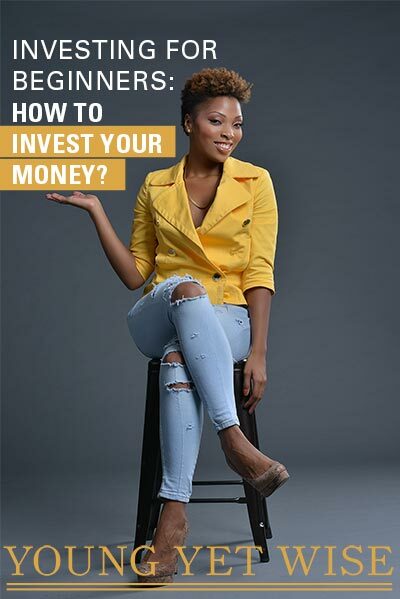 Let’s face it we can all use some tips on how to be better with our money, just because I’m a personal finance blogger doesn’t mean that I’m perfect I make mistakes too and at time struggle with self discipline when it comes to money. That’s why when I reader wrote it their question about how to change their relationship with money and stop frivolous spending I thought I would answer it publicly to help more people who may also need help with having more discipline with their money. The land of the unknown isn’t a very fun place to be, but I use to live there as well. I use to swipe without doing the math, spend without planning, and live as if everything were fine. Weekends came and whatever was in my account was up for grabs. Like a dog without a leash, I was free to roam and boy did it feel good. Until I’d check my account on Monday morning, I was living in a façade. On the outside it looked like I had it, but my bank account was like – nah girl, we need to talk. I was drowning in debt, and the only lifeguard that could rescue me was myself. Related: Did you know I have a free 5 day get your money back on track money series? You can sign up here. I had to change my relationship with money if I wanted to change my situation. It sounds easy, but it’s not. Just like any bad relationship it can be hard to change and your money isn’t any different. You’re comfortable with how you live your life right now. It’s all you know. It’s all you’ve been taught. It’s all your parents have showed you. The key is you have to want it bad enough. Many of us are telling ourselves that we want to change our situation with our money, but we’re only dipping our toes in the water. You know what the definition of frivolous is? Let’s ask our good old trusted friend Google. not having any serious purpose or value. Many of use are treating our money like a dog without a leash, letting it run free and wondering why we don’t have any? You are the person who is holding the leash. You are the person who is steering your money. Your parents aren’t steering your leash, your friends aren’t steering your leash, your significant other isn’t steering your leash. It’s you holding the leash. You are in control of your money. If you need more accountability of when it comes to your money I’ve created a membership to keep you on track so you can reach your money goals. It’s a place where you can rant about that new dress that you want to buy, but know you should use the money towards your credit care debt instead. This is a private paid membership that helps urban millennials properly manage their money. Go from help my pockets are hella broke, I have no idea where all my money should go to my money plan is Litt, i’m paying off debt, my savings account is flourishing oh did I mention my skin is glowing and my edges are growing back. (Well I can’t help with the skin and edges but once you get your money right everything else seems to fall in line.) Learn more about The Young Yet Wise Society here. We can no longer afford to be care free or not serious about our money. We need to give it purpose and value and not play the blame game as if we aren’t the one’s holding the remote to our own lives. “On today’s show we are going to meet the world’s biggest babies you’ve ever seen. They eat what they want. The mother’s on this show are on their last resort. “ Maury would say. Then strolls out the 114 pound three-year-old. The mother would be in tears. “Please help Maury I’ve tried everything, I want to change my babies life, but all they want to eat is pancakes, cheeseburgers, pizza and cereal.” The mother wails. How many times are we going to keep repeating the same stories to ourselves? Keep telling ourselves we want change, yet not changing. Keep placing the blame into everyone else’s hand except our own? I watched this Ted talk last week and Adam Baker talked about how we must figure out what does freedom mean to you? Think about that for a minute. What does freedom mean to you? Is it being debt free, is it taking more vacations?, is it starting your own business?, Is it building an emergency fund? Is it buying a house? It’s important to figure out what freedom means to you so that you can start putting your money towards your freedom. Figure out what freedom means to you. Figure out how much you make each month after taxes. What bills must get paid each month? What items or experiences that you just can’t live without each month? (getting your hair done, nails, dinner with friends?) Figure out how much money you need for these must haves. Choose an amount of money to save & invest. Choose one goal that is going to help you reach your freedom. And put the rest of your money towards that goal. Just one, remember it’s easier to attack one goal at a time. Instead of trying to drop drips of money into 7 buckets, pour a whole bucket over one. Then move on to the next. The perfect advice for anyone who’s struggling to make ends meet. Ways to make extra money to pay off your debt faster. To the reader who wrote me I want to let you know that you are very capable of changing your relationship with your money. Will it be easy? Probably not, the easy route is crowded. You weren’t built for the easy route. Building new habits take time, but once you get the hang of it and start giving your money a purpose it will become harder to cheat on your goals. Every time you spend money on things you have no business spending your money on you are only cheating yourself. No more living in the unknown, it’s time to live in the land of purpose it’s never too late. I believe you in you, you got this! If you’re struggling to pay off your debt be sure to check out The Debt Slaying Challenge: Eliminating Debt Fast book.